In this New York Times bestseller, an award-winning journalist uses ten maps of crucial regions to explain the geo-political strategies of the world powers—“fans of geography, history, and politics (and maps) will be enthralled” (Fort Worth Star-Telegram). Maps have a mysterious hold over us. Whether ancient, crumbling parchments or generated by Google, maps tell us things we want to know, not only about our current location or where we are going but about the world in general. And yet, when it comes to geo-politics, much of what we are told is generated by analysts and other experts who have neglected to refer to a map of the place in question. All leaders of nations are constrained by geography. In “one of the best books about geopolitics” (The Evening Standard), now updated to include 2016 geopolitical developments, journalist Tim Marshall examines Russia, China, the US, Latin America, the Middle East, Africa, Europe, Japan, Korea, and Greenland and the Arctic—their weather, seas, mountains, rivers, deserts, and borders—to provide a context often missing from our political reportage: how the physical characteristics of these countries affect their strengths and vulnerabilities and the decisions made by their leaders. Offering “a fresh way of looking at maps” (The New York Times Book Review), Marshall explains the complex geo-political strategies that shape the globe. Why is Putin so obsessed with Crimea? Why was the US destined to become a global superpower? Why does China’s power base continue to expand? Why is Tibet destined to lose its autonomy? Why will Europe never be united? The answers are geographical. 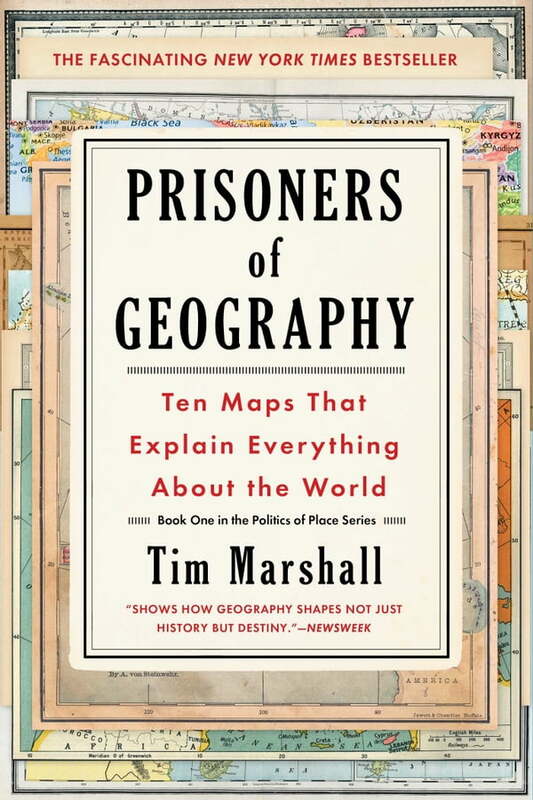 “In an ever more complex, chaotic, and interlinked world, Prisoners of Geography is a concise and useful primer on geopolitics” (Newsweek) and a critical guide to one of the major determining factors in world affairs.